Top 10 tracks of the night from Jamie Jones, Richy Ahmed, Skream and more. DC10's reputation as hedonist's hideout continues to stand firmly. 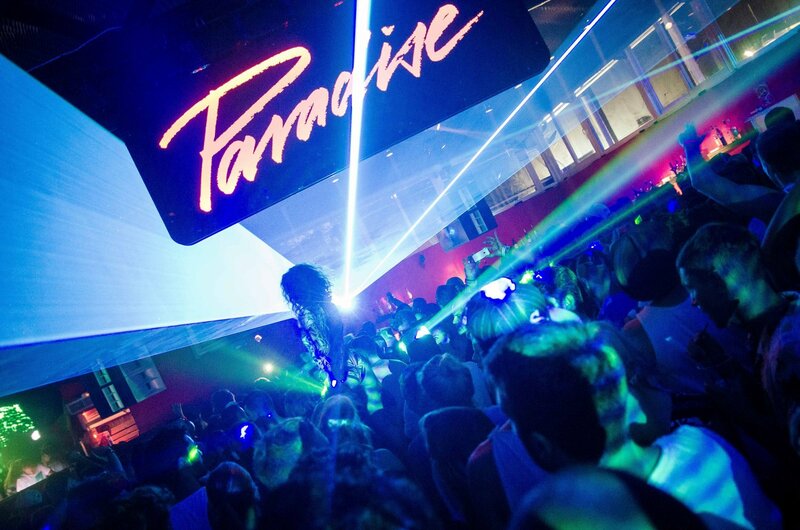 As one of Ibiza's naughtiest clubs, it delivers another authentic underground experience with Paradise on Wednesdays. One week before the closing party, we headed to the legendary venue to dance until morning. As only my second Paradise of the season - shocking I know - I was super excited for this one. Jamie Jones and Paradise brought in talented DJs from Hot Creations label and more. Besides Richy Ahmed, Detlef and Andrea Olivia, Drumcode don Adam Beyer, electronic wizard Skream, Nathan Barato, Nicole Moudaber and Italo Johnson joined the tropical fiesta. What a top line-up. It only bought back that familiar frustration and the question: Why did I not go to Paradise every Wednesday? If you're at home reminiscing of DC10 - at least in your mind - or if you have yet to attend it and want to have a little taste of what it's all about, check out our playlist to bring it back. Here are some of our favourite tunes dropped this past Wednesday. Tune, Tune, TUNE! As soon as this one drops, you can feel the room really get down and dirty in a mist of deep blue strobe lights. The funky house beat sounds as if you're in a video game embarking on a secret mission. Nicole Moudaber this one's a killer and we were on a mission, a mission to DANCE. It's no wonder Patrick Topping was recently crowned tech house artist of the year with banging remixes like Chains. With Richy Ahmed dropping this tune in the main room, it's evident why both remain of the most talked about DJs right now. Keep smashing it boys. During a seriously epic back-to-back between Richy Ahmed and Andrea Olivia, Adryiano's energetic track Dreams brought atmospheric vocals and piano stabs, providing the dance floor with that iconic Paradise summery vibe. We loved it. Featured in the album Defected Presents Most Rated 2018, Atlantic by Melé is a groovy jungle tune which the Paradise king himself, Jamie Jones, knew exactly how it would go off - MASSIVE. Going off into the final hours of the Main Room rave, Richy and Andrea continued to keep it rocking with Deetron's gnarling bassline remix of Keep on Climbin'. Building intensively from start to finish, this is one to remember - perfection. Italo Johnson was in full flow of what was a fantastic feet-stomping set, but this track took things to the next level. Oh yes, Comuno's powerful melodic club track Hyaena went down a treat. As we entered the Terrace, we managed to catch the end of Skream's set. He always knows how to take us on an unpredictable emotional journey and get lost in the music. Judging by the atmosphere at this point, he did just that with this track. After his set, he even joined the crowd to see the party out like the rest of us. Keep raving Skream - mint. Same Life is a fast, funky house beat with a clever use of vocals on loop. The energy levels were sky-high. Dropped by Richy Ahmed and Andrea Oliva, this track has huge ubiquitous potential. Track Vibration by Sonate is what can only be described as pure techno madness. After hearing this banger a few weeks back at RESISTANCE, it was music to our ears when Adam Beyer dropped it again at DC10. Another deep techno tune pounded by Nicole Moudaber on the Terrace. "I feel the music in my mind, I feel the music in my body" - the repetitive lyrics couldn't have been more suited as the track had my fingers, toes and ears tingling. This season Paradise has made for some of the most talked about line-ups on the island. As always, the closing parties will crank it up another notch. How is that possible? Well, let me tell you - Joseph Capriati, Danny Tenaglia, Sasha, Stacey Pullen, Patrick Topping, Richy Ahmed, Alan Fitzpatrick, Infinity Ink, Josh Butler, Mark Jenkyns and Russ Yallop will be joining Jamie Jones for the finale. That's right, thirteen of our Paradise favourites and friends will wave goodbye to Ibiza 2018. Be sure to get there early and dance in the garden for the sunset. This one's going to be busy.